The call is open for design projects − products, concepts, services and scenarios that can bring the Balkans to the forefront of a much needed paradigm shift in design, production and consumption. 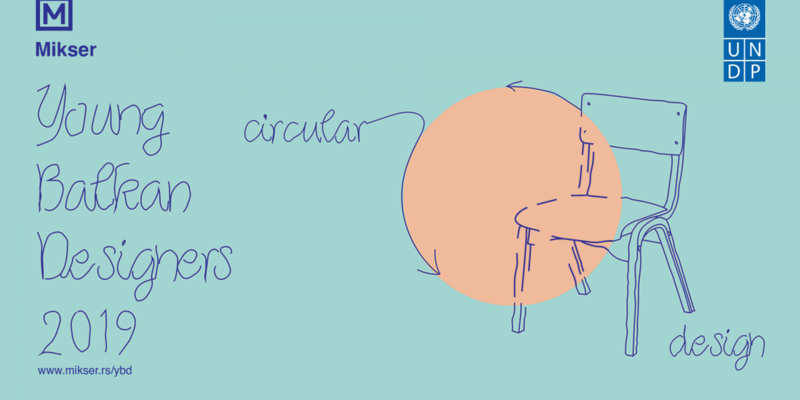 Young designers are challenged to get familiar with the basics of circular economy and explore possibilities of innovative design approach enhancing circularity of product, materials, services and concepts. The YBD project is conducted under the umbrella of BALKAN DESIGN NETWORK – Innovative platform established with the aim of articulating and providing long-term strategic support for the development and promotion of the Balkan design on Eu­ropean and International level. Applicants may be individuals or group of creators. Successful prototypes developed through this collaboration will be exhibited at Salone Satellite within the International Furniture Fair in Milan in 2020 at the companies’ expenses. In order to apply, please fill in the form here.